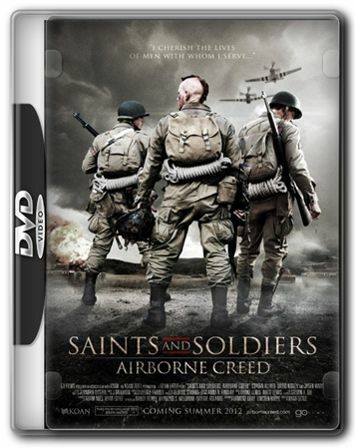 Ten years ago, Canadian director Ryan Little gave us Saints and Soldiers, a modestly conceived, old-fashioned second world warmovie about four American soldiers and a British Tommy struggling to rejoin their divisions in hostile territory after escaping the 1944Malmedy massacre of US PoWs by the SS during the Battle of the Bulge. Now Little has given us a sequel, with the same wholesome, Christian tinge, about American paratroopers dropped into France after D-Day and in roughly the same perilous situation. Little makes the best of a limited budget, and this is well-acted, especially by his leading man (and star of the previous film), Corbin Allred. But there is something weirdly inert about this film, a kind of diet or lite version of Steven Spielberg's Saving Private Ryan. Plenty of cliches are not brought entirely back to life. There are French resistance soldiers wearing the regulation black beret and waistcoats: the stripy shirts and strings of onions appear to have been left at home. This looks as if it will shift DVD units in heartland grey-dollar America, but it also resembles the kind of war re-enactment video you can see in tourist attractions such as the RAF Museum in London. It is competently put together, but as with the other second world war film out this week, the nagging question is: what's the point?